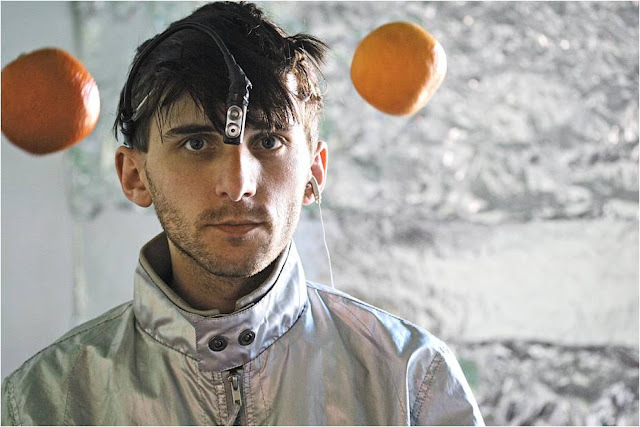 Neil Harbisson is used to people giving him puzzled sideways looks, especially at airports where his appearance has prompted officials to question him closely on more than one occasion. He can answer their questions quite blithely however. He is a cyborg – and that’s official. Harbisson’s story is more than a little interesting. Born in 1982 to a British father and a Spanish mother he was diagnosed in his childhood with achromatopsia. This is a syndrome that has links to five separate diseases but for Harbisson it meant that he could only see the world in black and white. Teased by his classmates he adopted only black and white clothing and when he went to study Fine Art at the Institut Alexandre Satorras he was given permission to only use black, white and their intermediate shades in his drawing. When in 2002 he moved to the UK to study at the Dartington College of Arts something happened that would change his life. 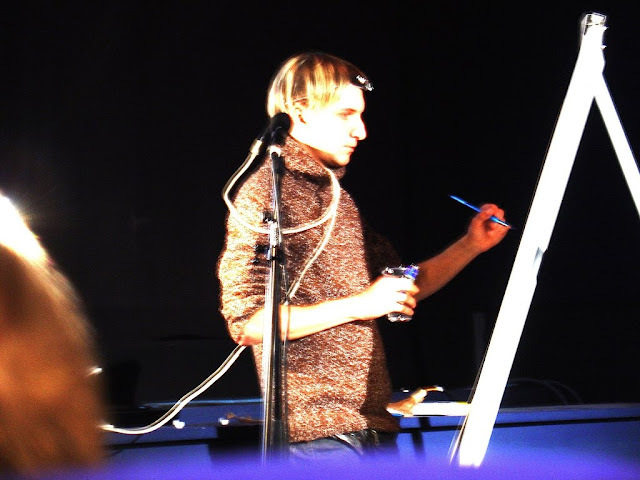 What they came up with was a camera, mounted on Harbisson’s head that picks up colours and converts them in to sound waves. 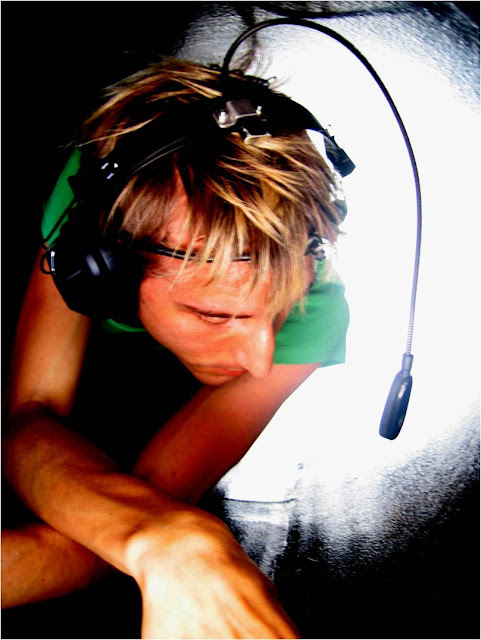 By memorising the different frequencies Harbisson became the first person in history with the ability to hear colors. 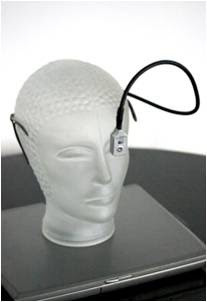 The eyeborg was further developed by Peter Kese, a Slovenian software developer. 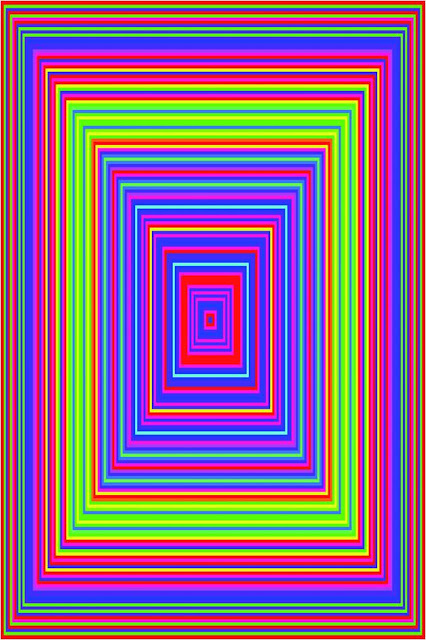 This further development meant that Harbisson can now perceive three hundred and sixty color hues through varying frequencies. Not only that by adjusting the volume levels accordingly he can also measure color saturation. 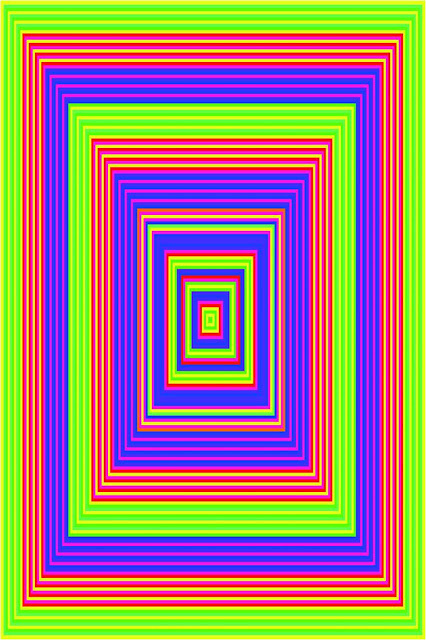 The eyeborg allowed Harbisson to experiment with color in his artwork. He first showcased these new painting in 2004 and has exhibited at the Royal College of Arts among many other places since then. Below is his take on Rachmaninov's Piano Concerto No.3. Here is more of the science, courtesy of YouTube. The paintings are certainly a new take on old subjects. Below, Bach's Toccata and Fugue in D minor is converted in to color. Harbisson has also used his eyeborg to help him paint the colors of the capital cities of Europe as well as a host of celebrities. His sound portraits are created by listening to the colors of faces with his eyeborg and then translating these sounds on to canvas. Then came the year in which Harbisson was obliged to renew his passport. British officials are notorious for their determination to disallow any objects other than a person’s face in to passport photographs. Harbisson’s passport application was rejected on the grounds that his prosthetic was in the picture. There is a little irony here as Harbisson will not himself work from photographs when painting people - only real human faces as, it seems, photos produce different sounds. 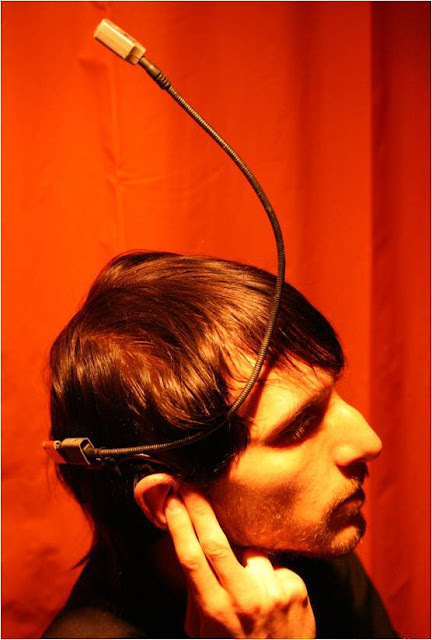 So ensued months of letters of support from Doctors and educators which argued that Harbisson’s prosthetic device was, effectively, part of him. The officials relented and the eyeborg was allowed in to picture, so confirming officially Harbisson’s status as the first officially recognized cyborg in history.